Njobvu repeats as Botswana's Blitz King!! Ignatious Njobvu beat a field of 70 to crown as the indisputable Roscoe Bonna National Blitz Chess Champion. The chess hero scored 9 points out of a possible 11 securing the clear 1st position. University of Botswana Polite Salani obtained his best result locally by clinching the second position with 8.5 points. The tournament favorite, Tebogo Pitlagano from the University of Botswana managed third position at 8.0 points. The winner earned P500 (pulas) in one hour making him the highest paid player in the country!! The Runners up collected P400, P300, P200 and consolation of P100 for the 5th place respectively. In the meantime, Mr. Ofentse Molale of Bonyonyo Chess club massacred the current IBM defending champion Mr. John Hutcheson. Ofentse walloped John two consecutive wins with zero reply from Hutcheson. The match suddenly ended as it was set for the best of three. The same scenario prevailed for the ladies match. Mudongo Boikhutso the only titled lady player in Botswana beat IBM defending champion Keitumetse Mokgacha 2 -0. Ofentse won P720 while John received P480. Mudongo received P480 for the encounter leaving Keitumetse with only P320. The total prize for the match was P2000. 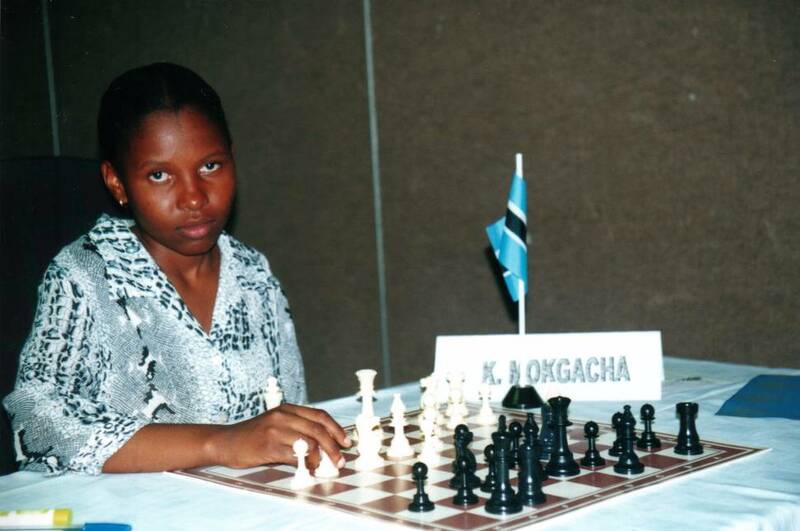 (2001) Njobvu edges field to take top honors in Botswana's Blitz Championship!